What are Rules? How do I create / edit them? 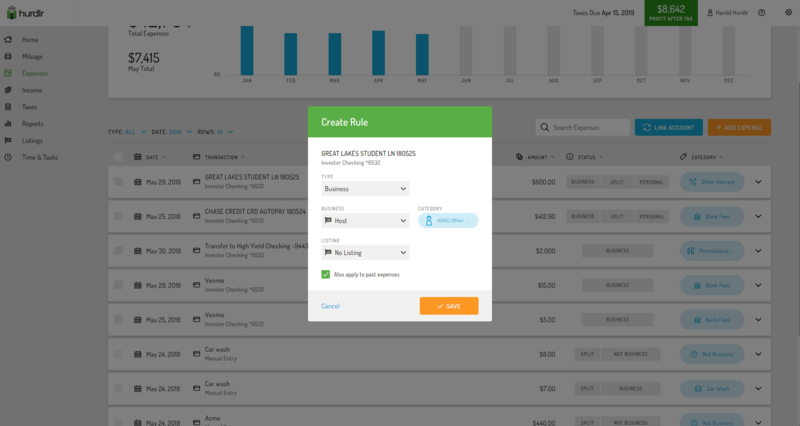 One big time-saving feature in Hurdlr Premium is the Rules feature to automatically tag transactions as Business or Personal when they import from your linked bank(s). Income rules operate much the same way, except rather than matching the vendor to future transactions, Hurdlr will match the deposit source. If you have multiple businesses in your account and create an income rule to mark certain deposits as ‘Business’, you’ll have the chance to specify which business to apply the income to. 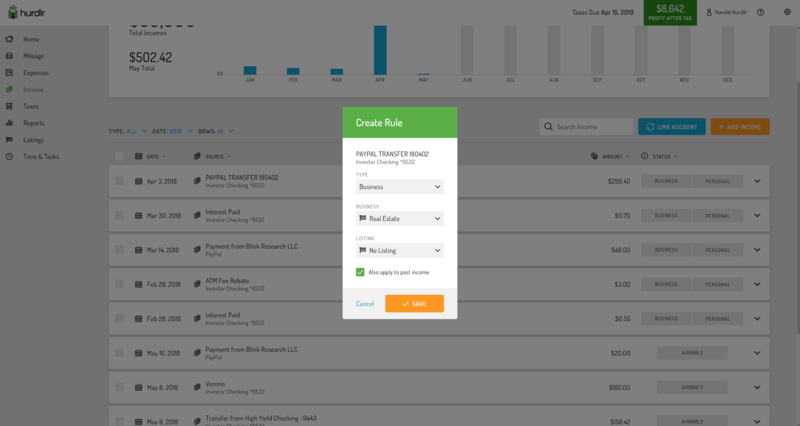 To edit rules, tap Settings (gear icon in the top right corner), then tap Income Rules or Expense Rules. 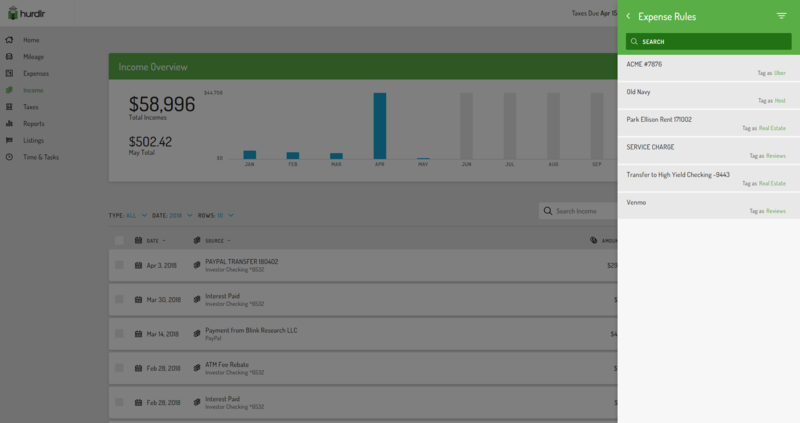 You’ll see a list of all of the income or expense rules you created. Just select the desired rule to edit or delete. If you have transactions that have transaction/date specific data (i.e. dates, account info, etc), you can use the advance rule feature to create a rule for a non-exact match. To do this edit the transaction name to remove the transactions specific data, then click Advanced Rules. You’ll now see the option to check the box to apply the rule to non-exact matches. If you check that box, it will apply the rule to anything that has the main part of the transaction description even if it includes transactions specific data.